No... not many call it a yellow town except unless you already heard someone telling you who is not from the Land of kuripot (but hot, yummy and smart) people na itago natin sa pangalang Ilocos (I belong, just so you know :p)! But before you believe that the yellow town is Tagudin, can you please check you teeth first? LOL! It is not actually the real title of the town. Actually it a first class municipality in Ilocos Sur with a lot of major major titles that can steal the crown of Venus Raj. 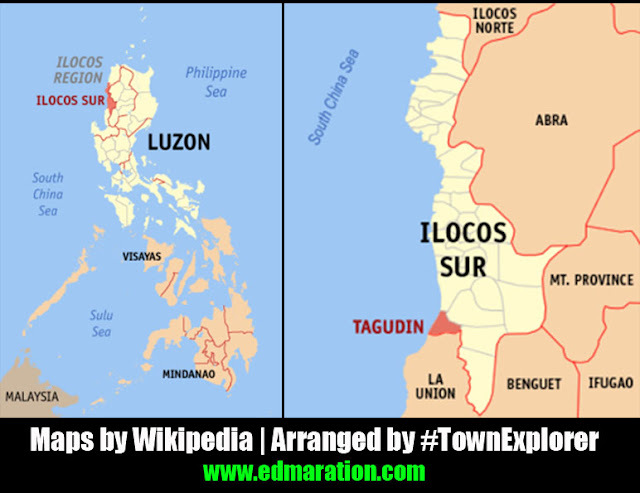 It is indeed a title holder town but I just want to coin a new title and I will call the town as "Yellow Town" :p Some acceptable titles are The Gateway to Ilocos, Malunggay Capital of the Philippines, and the Pearl of the Amburayan River. 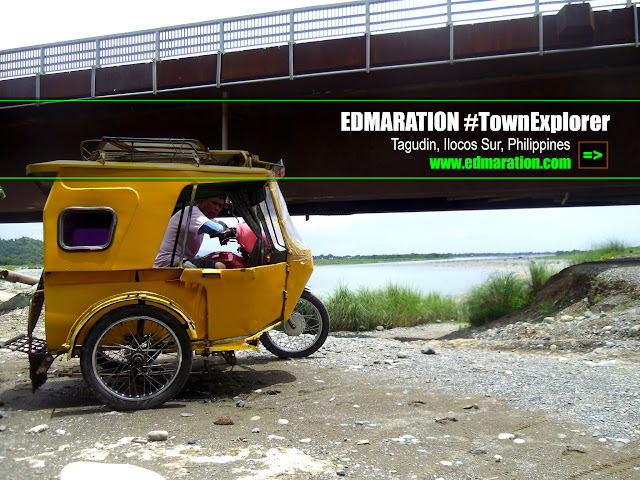 Ok, I will show you some reasons why the town of Tagudin is the yellow town. But before anything else, Tagudin is not a cold town (yelo). LOL! The yellow tricycle above is the same yelow tricycle that toured me around the town. They virtually make the road (especially in poblacion) as the official dumpsite of fresh peelings of yellow bananas (those that aren't banned in China). Yellow Market: There you are! -- the yellow market that sells yellow roses (not the real one, the plastic type made in China), yellow bikinis and yellow flip flops that will make you look like a walking mango shake (kidding, uh, please bear with the things I am saying because mango trees can bear yellow mango fruits when ripe :p). Yellow Mangoes: I know yellow mangoes are almost everywhere, so what? I want to include it here to make this post super yellow! LOL! Yellow Leaves: Uh? What about that? Well Tagudin is in the making as the "Malunggay Capital of the Philippines." Seriously. But I want to leave a trivia. Malunggay leaves become yellow when their life is nearing it's end. Do you know that? Ok, I hope I did not convince you that the town is the yellow town of Ilocos because once I convinced you, I am convinced too. LOL! The first 7-11 store in Ilocos provinces. 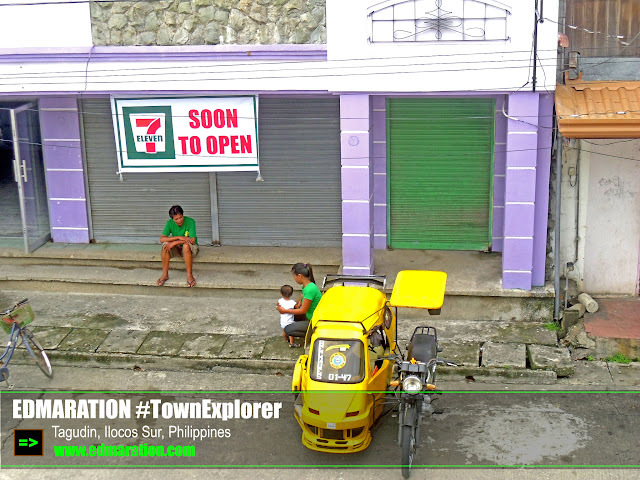 While the Ilocos Sisters (Sur and Norte) have sprawling touristy cities like Vigan, Laoag, Candon and Batac, Tagudin is the first town in Ilocos to have a 7-11 store, whew! 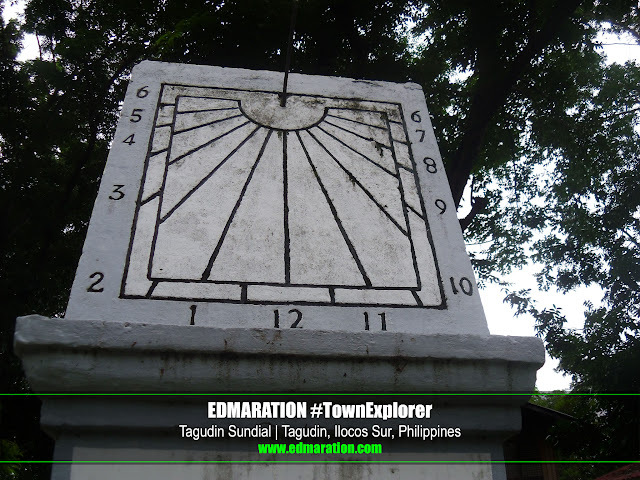 The first sundial in the Philippines. Because I do not know how to use a sundial, I also don't know what is this for honestly. But based on the context of the word sundial, this has something to do with the sun. This is the oldest surviving sundial in the whole Philippine archipelago from Aparri to Jolo (more about this sundial for my upcoming posts in this series). First town. It is the first town in Ilocandia when you are coming from Manila either by bus or by a bicycle when you are taking the Manila North Road, lol. It is also the last town in Ilocandia when you are coming from the north either by a calesa or simply alay-lakad walking up to sawa... Indeed the first and the last. So are you excited for the upcoming discoveries I discovered in Tagudin? Well this is just the prelude and we will spend 1 whole month or more (like 10 years, lol) to blog some details of the town of Tagudin that only me can observe the weird way, lols! 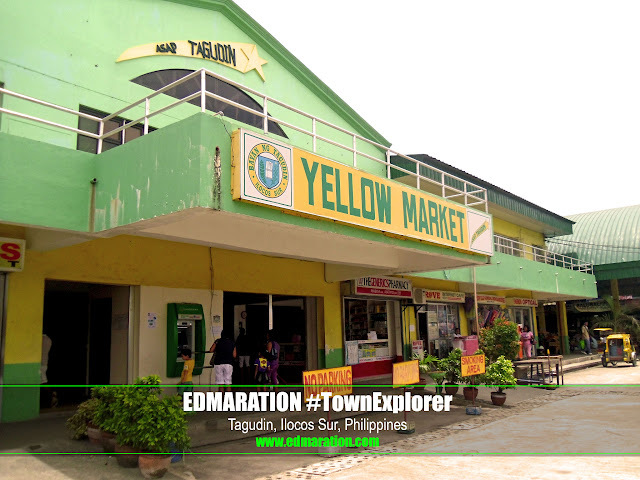 See you for the next post #TownExplorers! Oh I'm now seeing yellow. I think I was able to visit this place when I was a kid since the place and the name look really familiar. It such a historic place. Ok, natawa talaga ako sa mga hirit mo! Hahaha! This goes to show how awesome your humor is Edmar! :) And pag bumisita ako ng Ilocos ulit, iTour mo ako dito sa Tagudin ng makita ko din ang pagka-dilaw ng town na toh! hahahah! Ilocos.. ung masarap may masarap na kornik??? tama nga? lol! kamiss din manga!!! Oh I saw a yellow ribbon tied in the old old mango tree! Did you see it? It's up there, in the map you've posted... LOL!! I have fun reading this article. BTW... You just proved that this place can be called such! marri | Yay! Glad you enjoyed it! LOL I enjoyed so much of this post but mind you when we went to Dagupan I was amazed because all their tricycle are also colored yellow. My Daily Mumbles | Really in Dagupan? err, I forgot how the Dagupan trikes look like now. Your post gave me a humorous relief from a hard day's work. Teresa Martinez | wew mommy Tere. Thanks for the words! wrey and roby | yup! seen it! ang azteg. "Because I do not know how to use a sundial, I also don't know what is this for honestly. But based on the context of the word sundial, this has something to do with the sun." Sundials were the first clocks. The rod casts a shadow based on the placement of the sun in the sky and that's how they would tell what time it is. Can't wait to visit this place! Lots of firsts here, and pretty curious to see just how yellow it really is. oh!!! I love yellow! I would love to visit this place hahaha. and wow to the country's oldest sundial! So epic! Franc Ramon | Wow Franc really? Yes, it is historical indeed! lalalaPatricia | Punta na! I will make an itinerary and guide soon! Keep posted! Adeline Yuboco | Thanks sa info! Hehe. Joke lang yun na hindi ko alam, ahahaha! i thought you're going to say that they are yellow because of wearing lots of gold. well, it's a lively color for a town... it's soothing to the eyes. Yahweh bless. ralph | True! It is light ang bright and glowing, hehe. 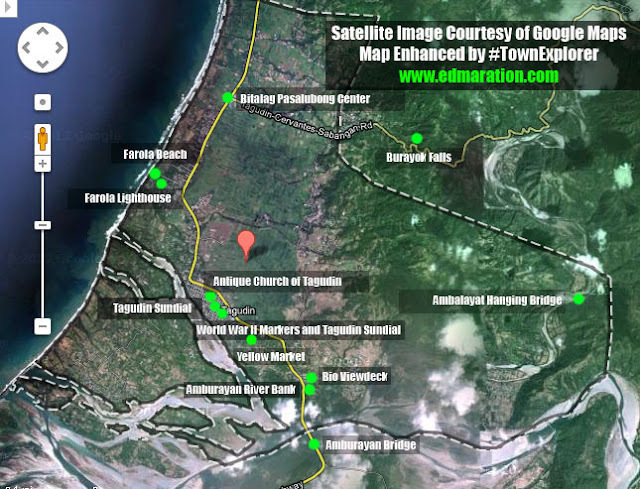 Sir you forgot to visit Angalo's left footprint located at Baringcucurong, Suyo, Ilocos Sur near the town of Tagudin.